One day I directed to SO and was met with the awesome Interesting page, which I really like. But when I travel away from it, I have to re-enter the query string to get it back. Is there a plan to make this tab visible so I can click to it anytime? 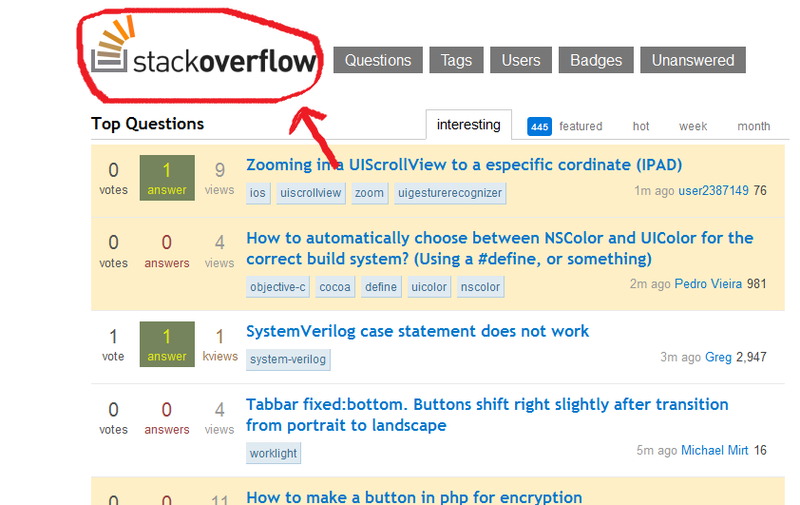 You can click on the Stack Overflow logo and it'll show the interesting page. Not the answer you're looking for? Browse other questions tagged feature-request stack-overflow tabs . Where can I find the “Interesting” tab? Can we please get a /users/me URL?